Oh my goodness. 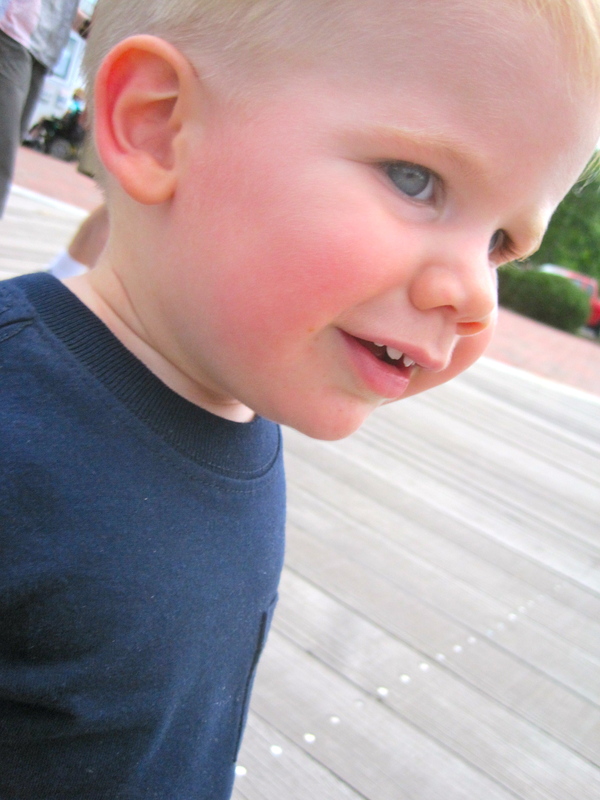 I am in love with this little man . . . ok, over the moon for him. Just loving how he is walking all over. 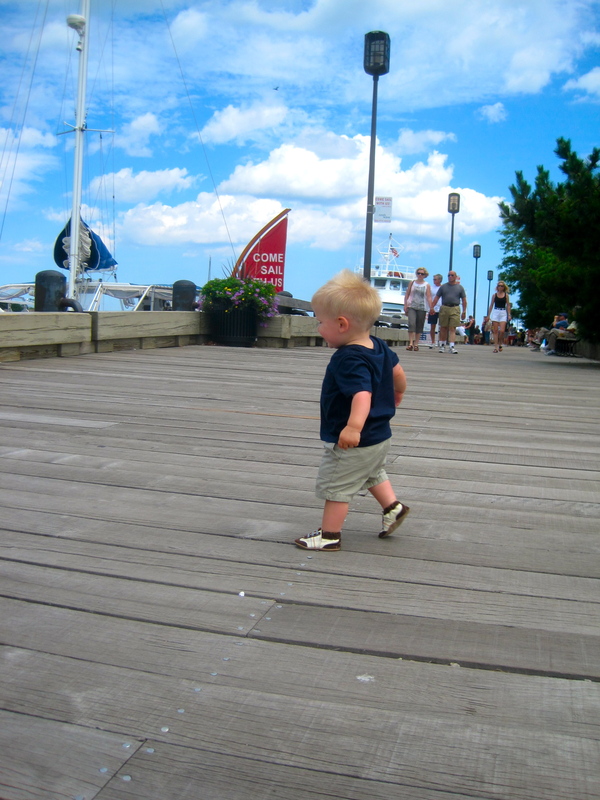 Today he loved walking up and down the boardwalk of Newburyport. It was a lovely Sunday. 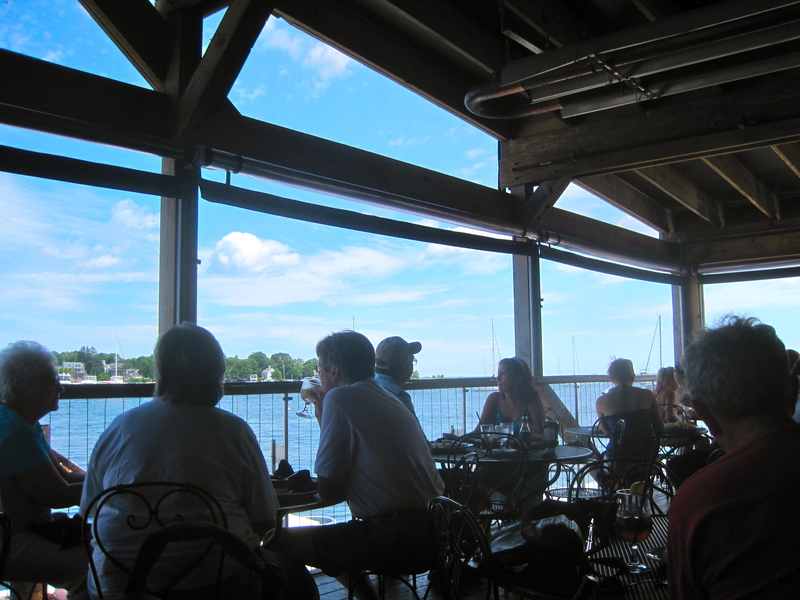 We ate lunch where this was the view . . .
And then you must see Andrew’s post to see what we did this afternoon. I will let you know since he might forget . . . that I won! By 1 point! Good summer days (it would have been just as good whether or not I won, winning was a bonus).